Skippered charter is a charter on a luxury yacht where our friendly, qualified and experienced skipper and crew take care of the yacht and you, our guests. See more on our Skippered Charter page. How many guests can be accommodated on board? 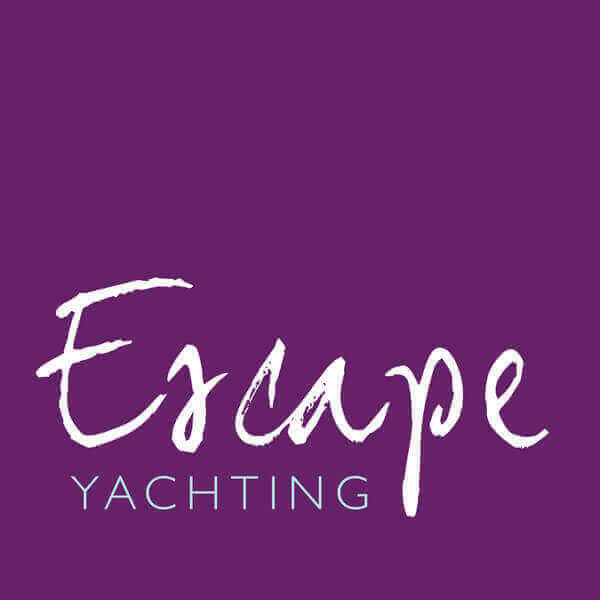 Most of our yachts can take up to 10 guests, but we also use some yachts that can take up to 8 or 12 guests on board. These are legal limits and cannot be exceeded. We do have a good selection of yachts and for larger groups, we can provide more than one yacht. The yachts sail together, anchor together for the meal, and then you can enjoy the friendly competition of a race back to Lymington afterwards! It’s even more fun – and the host can always swap to the other yacht during the trip, so they get to spend time with everyone. How do I know your yachts will be in excellent condition? First and foremost, we adhere to local maritime laws and regulations. This is your primary protection, and in most cases the rules are quite strict. We also carry public liability insurance. Beyond this, we have a track record of success and happy guests – as you can see from our many TripAdvisor reviews! We maintain a very high standard of guest satisfaction and provide boats that are clean, in excellent condition and well maintained. What are the timings of your Sail with Lunch and Dinner trips? You check in for the Sail with Lunch trip at 0900 and sail at 0930 returning at 1500. You check in for the Sail with Dinner trip at 1500 and sail at 1530, returning at 2100. Why do you sail from Lymington? Lymington is a delightful Georgian town in the New Forest, with a well-protected marina right on the Solent. Within minutes of leaving the marina, your yacht is sailing on the picturesque western Solent, with great views of the New Forest and the Isle of Wight. Lymington is also a superb base for exploring the New Forest National Park before and after your trip. Our yachts are very welcoming to children and older people and especially well-suited to family charters. We do not stipulate a minimum or maximum age for our guests, but we do require an adult to be on board with anyone who is under the age of 18. The crew cannot provide childminding or babysitting services. On your booking you should note the age of anyone under 18 so we can provide appropriate lifejackets for small children. As long as you can get up steps in order to get on board, you do not have to take part in an active way at all, although you are welcome to do so if you wish! We have had plenty of elderly or non-able bodied guests on board. Access is rated as difficult for passengers with access needs. Wheelchair users will need to be lifted on to the yacht and access to the toilets on board (these are located down steep steps) may be difficult for non-able bodied guests. Please contact us in advance to discuss any special requirements. On our Sail with Lunch or Dinner day trips on the Solent there are no hidden extras. The only voluntary extras are whether you wish to bring or pre-order any wine to enjoy with your meal on board – and any gratuity for the skipper and crew. On our sailing holidays, we detail what is and what is not included in the paperwork we send to you, but the only extras are any personal expenditure ashore, including drinks in bars ashore, and any gratuity for the skipper and crew. Do I have to tip the skipper/crew, and if so what's the normal amount? Tipping is purely voluntary. If you do decide that you want to tip the skipper and crew because they’ve been professional, helpful and gracious (as we are certain they will be) then it’s customary to pay in the region of 10% of the total charter amount as you disembark. We normally recommend £10 per person on our day trips and 10% on our sailing holidays. Please give your tip to the skipper and he will allocate it fairly to the crew for you. What food is served on board the yacht? On our day trips and on our sailing holidays, we serve a set menu, which includes a vegetarian option. In advance of your trip, we ask you to confirm any special dietary requirements, including details of any allergies. We cannot respond to any requests on the day so please advise us at least 48 hours before your trip. Are drinks provided on board? On our day trips, we offer you a glass of champagne or a soft drink when you arrive on board. There is plenty of water, tea and coffee for you to enjoy during your sail. You are welcome to bring or pre-order further drinks to enjoy during your meal. On our all-inclusive sailing holidays, all drinks are included on board the yacht. Once I book, how do I pay? The two most common means of paying are by bank transfer or debit/credit card via PayPal. When you book, we will ask you which payment method you prefer. You do not need to have a PayPal account to pay us by debit/credit card. We will send you a secure PayPal payment request, to which you respond with your card details. What are your terms and conditions? What is your refund policy? Please follow this link to see our Terms and Conditions. For a cancellation less than 8 weeks before your trip, there will be a cancellation fee, in accordance with the terms and conditions which will be sent to you when your booking is confirmed. For our day trips, we can try to resell your places, in which case there will only be the administration fee of £25 per person for you to reschedule to another date. If we cannot resell your places, then the cancellation charge is the full value of your trip – but, hopefully, that will not be the case. As with most day trips or holidays the general rule is: the less baggage you have the better. This truism is no different for yacht sailing day trips or holidays. To help you pack, just imagine what it is that you are going to be doing while on your particular trip. Some of the time you may be swimming or sunbathing – other times you might be dining in a local restaurant. The type of charter and location dictates what is advisable to bring. We give you advice on what to pack for specific charters. Some items which are worth considering are: layers of light clothing such as shorts, tops, skirts, sun hats or caps, sandals, trainers or sneakers or soft soled athletic shoes, swimwear and warmer clothing for the evenings. In the evening, during our holidays, more “smart casual” clothing, such as skirts, trousers and collared shirts are a good idea. Remember to bring any personal items on your sailing holiday, such as passports and visas as well as medication or personal sport equipment. Softer luggage is ideal for fitting into cabin lockers and is generally more practical on a yacht. By law all of our yachts must have lifejackets, along with a first aid box, fire extinquishers and life rafts. What’s the weather like? What happens if bad weather is forecast? We monitor the local weather forecasts. For our day trips, we will contact you at least 24 hours in advance – which is when we get the most accurate forecast – if it is looking like it may be unsafe to sail. At that time we will advise you on your options, including the opportunity to reschedule your trip. Do you provide wet-weather clothing? We do not provide wet-weather clothing and recommend that you bring suitable clothing with you, just in case you experience a rain shower during your trip. What are the wind and sea conditions? Yacht sailing is a “soft adventure”, be prepared for calm seas as well as windy conditions. If any lean towards sea sickness, over the counter medications or prescriptions may be handy. Ensure, you have an adequate supply of prescribed medications as you may not be able to refill medical prescriptions whilst away. A yacht is not a safe environment for a pet, however well behaved. Can you recommend local accommodation in the New Forest? Many of our guests stay in the New Forest before and/or after their sailing trip with us. We own the lovely Thatched Cottage Hotel. Built in 1627, the Grade 2 listed hotel offers historic rooms as well as modern garden rooms and suites. Located in Brockenhurst in the heart of the New Forest National Park – within easy walking distance of the rail station, village centre, open heathland and forest. The hotel offers a comfortable tea room and garden for morning coffee, afternoon tea and the New Forest’s only gin bar – with an amazing selection of gins for you to sample and enjoy! There are lots of restaurants and pubs to be found within 5 minutes walking distance of the hotel. Full information about availability and rates – and to make your booking – please visit the hotel’s website. Thank you. Can we stay overnight on board the yacht? Overnight accommodation is available on board the yacht at Lymington Yacht Haven before or after your trip. The price is only £149 for an ensuite double cabin with bedding and towels. You will be the only people on board the yacht overnight – unless you book for more than one couple and, therefore, also use the other available cabin. The next morning, you can enjoy a good breakfast at the Haven Restaurant in the marina – at your expense. You will need to be off the yacht by 0830 the next morning so it can be prepared for that day’s sailing, but you don’t have to have had breakfast by then! There are first class facilities in the marina building nearby, which most guests make use of, including rain showers and hairdryers! How do we find the marina? Full details and directions are on the information we send to you when your booking is confirmed. Is smoking allowed on board the yacht? Smoking is not permitted inside our yachts at any time. Please confirm whether your skipper will allow smoking on deck, but this is unlikely to be granted on a shared charter so as not to disturb other guests. Does my sailing holiday need to be a week long? No. Many operators will ask you to charter for a week, usually Saturday to Saturday, but this is most rigid during high season in the Mediterranean, including Croatia. The Caribbean can be more flexible, and generally start as 7 days although most guests sail with us for 12-14 days. On the Solent, in addition to our very popular Sail with Lunch or Dinner day trips, we offer Sail and Stay trips midweek and at weekends for as long as you wish!